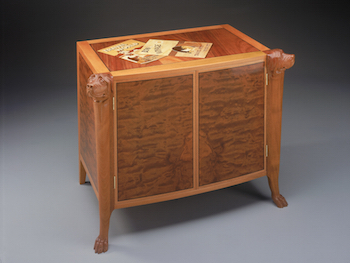 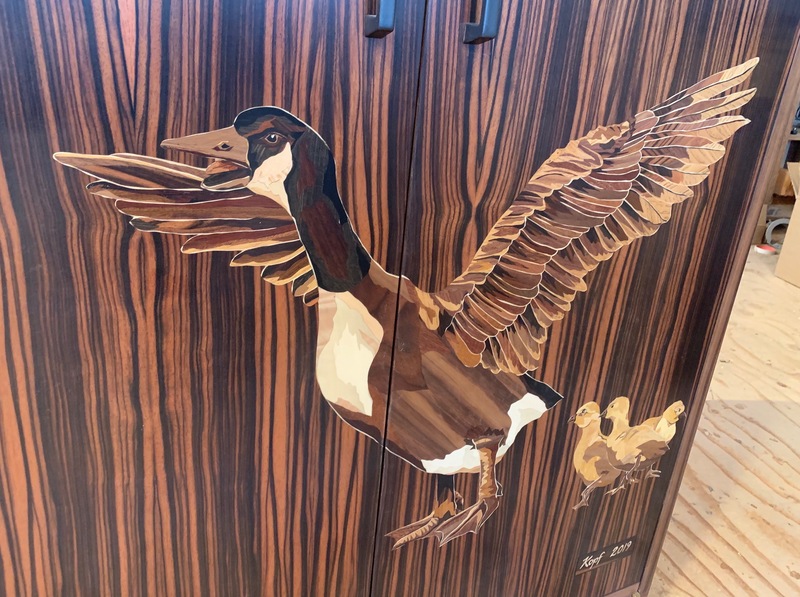 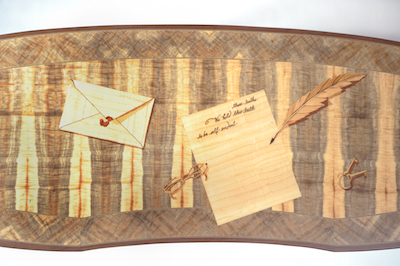 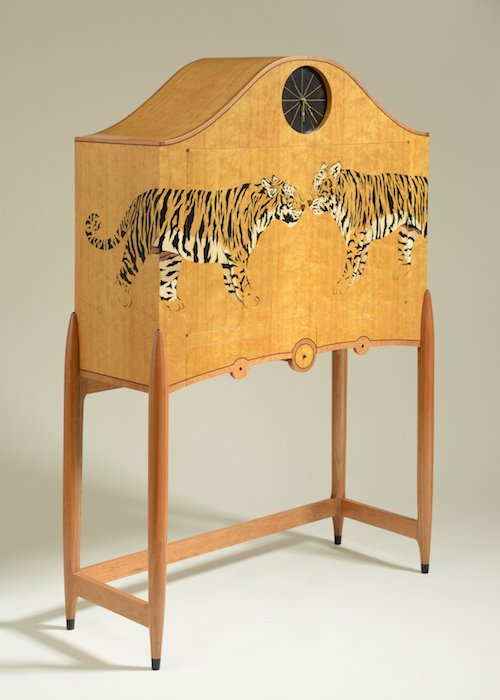 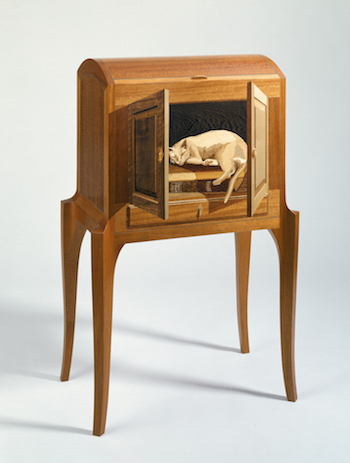 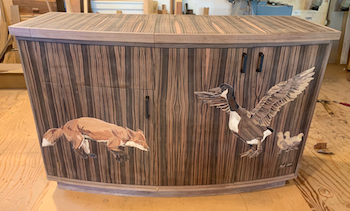 Fox and Geese Cabinet The primary wood for this cabinet is Macassar ebony. 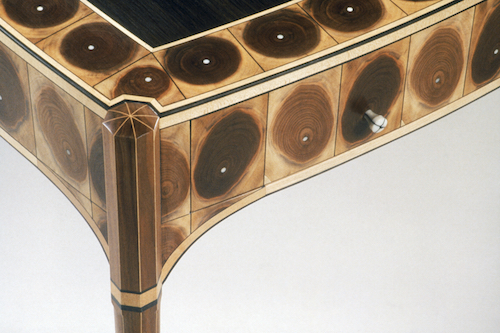 The solid wood that frames the panels is walnut. 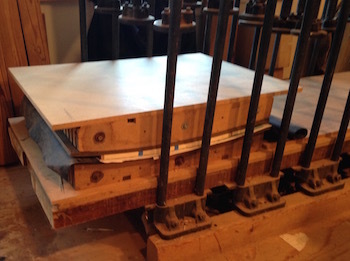 There is a lifting top on the left that will have a space for a printer. 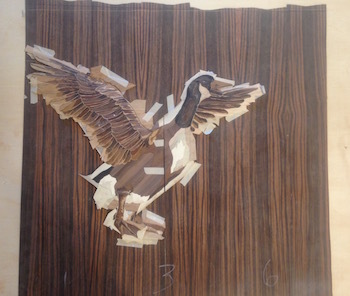 Marquetry goose The same process is used to put the goose together.